The news this week from Chhattisgarh, India, is tragic. 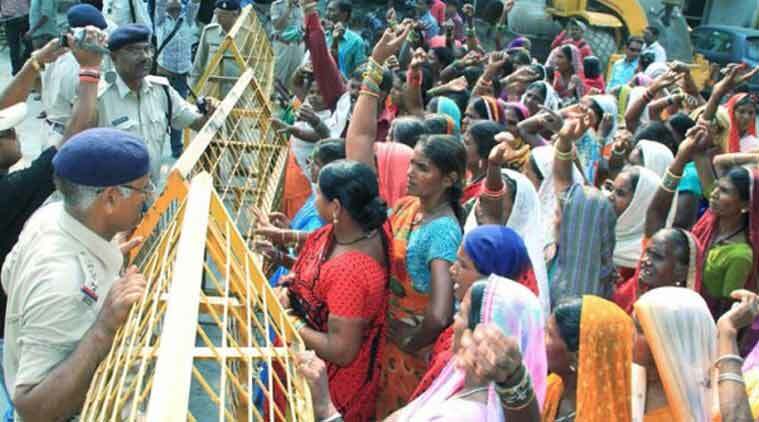 At latest count, 15 women have died in a `sterilization camp’. Fifty others are in hospital, with at least 20 in critical condition. At first the operations were widely described as `botched.’ After only preliminary investigations, the response moved from `botched’ to `criminal’ and `corrupt’. Finally, the reporting has landed on how Indian this all is. It’s not. Forced sterilization of women is a global phenomenon, actually a global campaign, and it needs to be addressed, immediately. The women, all poor, of Chhattisgarh are part of a global public policy in which women’s bodies are, at best, disposable and, more often, detritus. Consider the last two months from the perspective of forced sterilization of women. In November, the Namibian Supreme Court upheld a 2012 High Court decision that health workers sterilized HIV-positive women without their consent. Switzerland was called upon to consider compensation for survivors of its “contract children” program, which included forced sterilization of girls. In October, Belgium faced UN scrutiny, under the CEDAW procedures, concerning forced sterilization of women living with disabilities. Women in Peru complained that, eighteen years after the formal cessation of forced sterilization programs, they have seen no justice. Promises, yes. Justice, no. North Carolina began paying compensation to survivors, poor and minority women, of its forced sterilization program. After much debate, the California legislature passed a bill formally banning the forced sterilization of women prisoners. And this doesn’t take into account ongoing inquiries and discussions of forced sterilization of Aboriginal and Indigenous women across the Americas as well as Australia. This list is not even the tip of the global iceberg. And so the charge of coercion, as raised by Kerry McBroom, director of the Reproductive Rights Initiative at the Human Rights Law Network in New Delhi, comes as no surprise. That the coercion flows through cash incentives to desperately poor women rather than cudgels and batons is merely a facet of the current world order. There is no informed consent in so-called sterilisation camps. There are quotas, cash incentives, and the occasional pile up of women’s corpses. Monetizing and incentivizing the assault on women’s bodies is key to the modern democratic nation-state, thanks to the Washington Consensus. Along with local investigation into the individual cases, as in Chhattisgarh, what is called for is immediate global action to change the global public policy that trashes women’s bodies and lives. 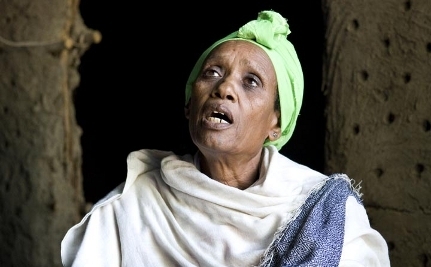 The global state of forced sterilization of women is dire, and it’s expanding. It’s past time to address the global crisis of forced sterilization of women: impose an immediate moratorium on all programs of mass sterilization, everywhere; codify just compensation for survivors of such programs; pay just compensation to survivors of such programs; and establish serious global structures to enforce informed consent. Remember, Chhattisgarh is everywhere. This latest chapter began, formally, in 2009, when three Namibian women sued the State. They claimed they had been forcibly sterilized and that they had been sterilized because they were HIV positive, and so were victims of discrimination. Three separate women, ranging in age from 20s to 40s, at the height of labor, were presented with the sterilization `option’. In one case, the woman had been in labor for over four days and was in severe pain. She was led to believe that her caesarean could only take place if she signed the form. In such circumstances, what is the gender of informed consent? In 2012, Judge Elton Hoff took two hours to read the decision. He argued there was clearly no informed consent. He noted that the women were Oshiwambo-speaking and that none of the health staff spoke Oshiwambo. He further noted that the forms the women signed were filled with acronyms no one, other than a specialist, could be expected to understand. In all three cases, the women only discovered the meaning of “BTL”, bilateral tubal ligation, long after they had undergone the surgery. Judge Hoff concluded, “There could not have been counselling in those circumstances.” When, after two hours, Judge Hoff looked up from his papers, he faced a courtroom packed with women in black t-shirts that read, “Non negotiable: my body, my womb, my rights”. The three women are members of the Namibian Women’s Health Network. During a routine inspection of post-treatment papers, Network members started noticing BTL on members’ treatment cards. No one knew what BTL was, and absolutely no woman knew that this had happened to her. The women then hooked up with the Southern Africa Litigation Centre, and in particular with Priti Patel, then deputy director and HIV program manager, who managed the case. According to Jennifer Gatsi-Mallet, Director of the Namibian Women’s Health Network, “The three women at the heart of this case are just the tip of the iceberg. We have documented dozens of similar cases of women living with HIV being sterilised without their informed consent. This judgment presents the strongest possibility that the Government of Namibia will be held to account for subjecting HIV-positive women to coerced sterilisation,” said Mallet. This victory in the Namibian Supreme Court extends beyond hospitals and prison and before human rights to women everywhere organizing to sustain their dignity as women, and in so doing, pushing the State to do more than pay lip service to women’s rights and equality. This is a victory for women’s autonomy and power, everywhere. 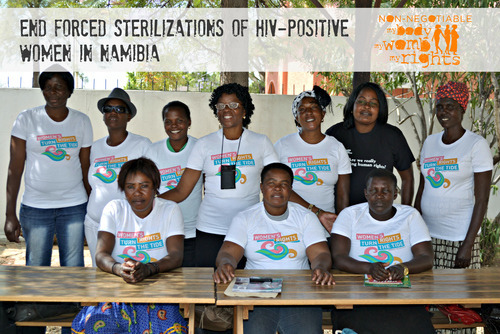 The State, and not just Namibia, did more than fail to stop forced sterilization. The State engaged for decades, and centuries, in medical pogroms against women. It’s way past time for the State to be held to account for violence committed against women across the African continent and around the world. What do you mean, sterilized without consent? Last week, California formally banned forced and coerced sterilization of women prisoners … again. Governor Jerry Brown signed Senate Bill No. 1135 into law. The bill reads, in part: “This bill would prohibit sterilization for the purpose of birth control of an individual under the control of the Department of Corrections and Rehabilitation or a county correctional facility, as specified.” Not forcing sterilization on women prisoners seems pretty straightforward. Some would even say a no-brainer. And yet, this law took a lot of brains, and muscle and organizing and history. The quick story is that the Center for Investigative Reporting revealed, last year, that the California prison system had coerced women prisoners into sterilization. Lawmakers, and in particular the California Women’s Legislative Caucus, called for an investigation. A State audit showed that between 2005 and 2013, 144 tubal ligations were performed on women prisoners. At least 25% of these had no evidence whatsoever of informed consent. Most of the others were dicey. 88 of the women were Latina or Black, and 6 were “other”. All of the women, one hundred percent, had been jailed at least once. Senator Hannah-Beth Jackson wrote the bill. She worked with Cynthia Chandler, co-founder of the prisoners rights group Justice Now. They worked with former prisoners, such as Kelli Dillon, who could confirm the allegations and, more importantly, put a human face on the story. When the bill was presented, it passed unanimously, thanks to the great work of great investigative reporters, community organizers, legislators, and current and former women prisoners. The law’s back-story raises many concerns. Between 1909 and 1964, California had compulsory sterilization laws that targeted people of color, the poor, the disabled, those living with mental illnesses, and prisoners. About 20,000 men and women were sterilized without any pretense of consent. 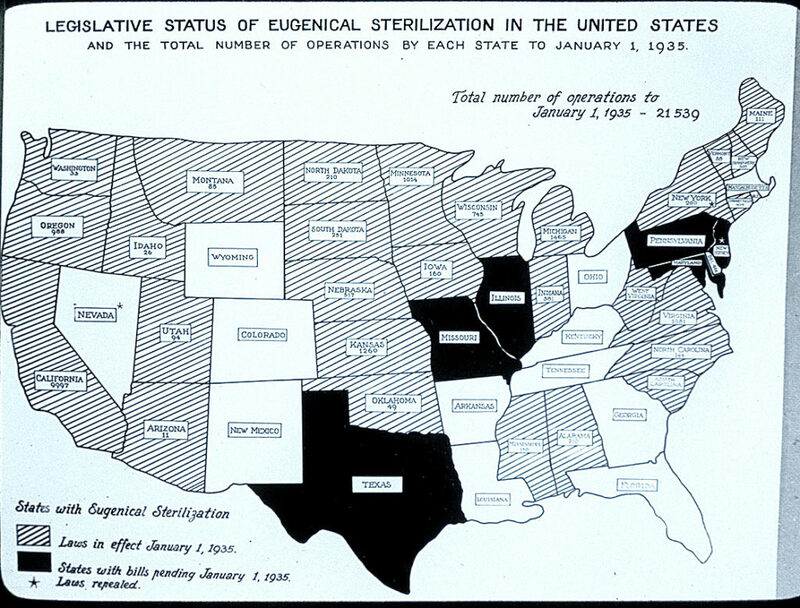 Forced sterilization laws were officially banned, by the California legislature, in 1979. Prison doctors and administrators found loopholes in the ban, and they were back in business, and the only possible witnesses are `unreliable’. After all, they’re repeat offenders, many with low levels of formal education and many with “too many children.” And they’re women, mostly women of color. In Maryland, when State Delegate Mary L. Washington discovered that women prisoners were being shackled in childbirth, she replied, “Wait. What do you mean, shackled?” When she learned that shackled meant shackled, she launched what she figured was a no-brainer, a ban on shackling women prisoners in childbirth. It took two years of lots of brain and brawn to get that no-brainer passed. These crimes by the State succeed because the population at large has been persuaded, for decades, that these women are the problem, and it’s best to leave the problem to the experts, prison doctors and prison guards. That’s how we’ve ended up in a world of what-do-you-mean. In California, members of Justice Now are organizing an education campaign for current women prisoners and another for former prisoners. We all need that education. What do you mean, sterilized without consent? What do you mean, shackled? When it comes to women, the shame of neoliberal policies knows no limit. In California women in prison have been sterilized as a way to save welfare money. 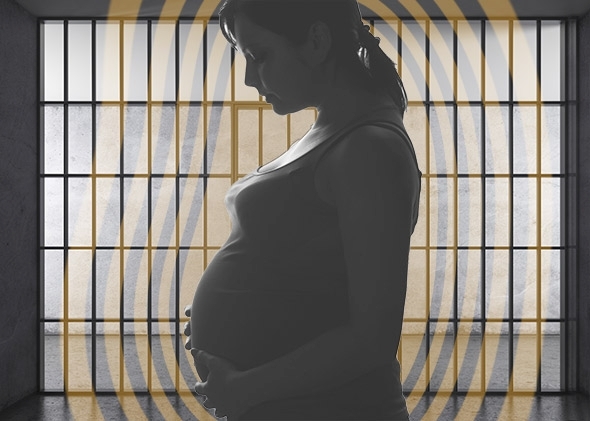 Tennessee passed a bill making pregnant women who had drug addiction problems eligible for prison time, and thus less valuable than the fetus they carry. Sterilization has been a weapon of conquest used against American Indian women. It has been a weapon of control over the Black body during and after slavery. Now it has become a weapon for controlling the future of indebted Latina and African and Native American women in California and in Tennessee. In recent decades, welfare evolved from being a support system against the adversities of life in an industrial society to a debt that poor people of color incur. For poor women of color, their bodies are both collateral and ransom. Today, that reproductive body has to be locked up. For one year, Tennessee experimented with a more inclusive approach, The Safe Harbor Act. Its idea was simple: drug dependent mothers need support more than prison. The act was a step toward better care for pregnant women, arguing that they would seek help if medical confidentiality was respected. That approach was given a mere year, nowhere near enough time to reach its goal. Last week, the Tennessee legislature overwhelmingly passed a new bill that empowers police to investigate drug-taking pregnant women. The bill was justified by the high level of Tennessee babies born with Neonatal Abstinence Syndrome (NAS), which is treatable and does not leave any long-term damage on the child. Sending the child’s mother to jail, however, will undoubtedly have a long-term effect on the mother and the child. The bill had bipartisan support. From both sides of the aisle, legislators showed no understanding of the process of drug addiction, its biological reality as a chronic relapsing disorder that often emerges from today’s political and social disorder. Loss of jobs and cuts on public services has produced a parallel drug economy. Women of color are more likely to be affected by the reduction of public services. Furthermore, according to Tennessee’s commissioner of health, in 60% of the cases the mothers in question had a prescription for the drugs in their bodies. With this bill the fetus carries more rights than the living mother to be. The value of the fetus is only there to negate the humanity of the woman, who, as a Virginia state senator stated recently, is less than a full being. But that’s only as a fetus. Once born, that child joins the army of the poor in Tennessee or in California. Poverty for children of color has intensified and expanded. According to a recent Annie E Casey Foundation report, minority children trail behind white children on every social account measured. If children’s safety motivates this bill, then since African American, Latinos and American Indians are way more likely to live in areas where industrial pollution is harmful for their health, why not punish the “polluters” instead of poor women? Clearly, when the child is born, protection of life takes a different meaning according to class, race and ethnicity. In both states, the war on drugs has targeted women of color. The recent announcement of clemency for inmates that have spent at least ten years in jail for nonviolent drug offenses, is hardly an act of clemency, especially for women, in particular for women of color and poor women whose bodies are again going to be channeled to jail. In Europe, the debt economy has used austerity measures in Greece to send people to jail for debt. In the United States, the debt economy has used racial discrimination inherited from slavery and genocidal policies to achieve the same level of success through impoverishment. Martin Luther king once said, “Central to democracy is the fundamental belief that one belongs and one’s voice matters…” These women have no say. They are flesh and bones with reproductive capability devoid of rights. After strict State surveillance, they are to be culled from the herd, neither citizens nor humans. These policies go beyond cruelty. They institutionalize and normalize mass dehumanization. At some point California dreamin’ and going back to California turned into Golden Gulag California. One day, the gulag too shall pass. After the gulag, what will emerge, and who shall write that history? Today marks the second day of the California prisoners’ hunger strike. Some 30,000 prisoners have laid down their tools, in this instance their bodies, in what is reported to be the largest hunger strike in state history. Prisoners across the state have put their lives on the line. The core demands are straightforward and eminently reasonable: end group punishments; abolish the whole gang identification and `debriefing’ apparatus; end long term isolation; provide adequate and nutritious food; expand and provide constructive programs and privileges for those placed in indefinite solitary confinement in what California calls “secure housing units”. A secure housing unit is a warehouse of pain, suffering and slow death. Solitary cells of America are filled with people living with disabilities. Prisoners, like Prisoner #6 in Pennsylvania SCI-Muncy, are depressed, live with mental disabilities, act out, try to commit suicide, and they are thrown into the hole and abandoned there. And then die horrible deaths. But that’s not good enough for California. California has Secure Housing Units in which “security” means indefinite and long term isolation, and debriefing means coerced reporting on gangs, even if one is not in a gang. Meanwhile, in the ordinary and everyday world of California prisons, until fairly recently, women prisoners were tricked or coerced into sterilization. 66% of the guards inside women prisons are male; most of the rapes inside women’s prisons are at the hands of male prison staff. When the Valley State Prison for Women, VSPW, was closed, to turn it into a men’s “facility”, and the women were shipped to the already crowded Central California Women’s Facility, CCWF, what happened? Overcrowding, antagonism, tension, violence … and segregation and isolation. Take the case of Prisoner T: “T. has been incarcerated for 30 years, with a parole date in late 2014, and was among the women transferred from VSPW after 25 years of violation-free programming.” Twenty-five years without a violation. Because of CCWF circumstances beyond T’s control, T is segregated and will probably stay in segregation for the entire year, until she’s paroled. According to T., “It’s disheartening to be in Ad Seg as I am locked up in a cell 24 hours a day. I only receive six hours of exercise a week, which consists of a small fenced in cement yard that has no place to sit except on the cement floor. I just go out for the fresh air.” Fresh air. To get fresh air, T. is stripped naked and spends her hour in that cement yard completely naked and completely alone. When she returns, she is strip-searched. When she goes to shower, she is handcuffed behind the back. She is allowed to shower three times a week. T. is not in segregation for disciplinary reasons, and yet she is treated as if she were. The California prison hunger strike is about being-human. Across the state of California, people in prison are regularly abused, humiliated, tortured, and worse. Women are regularly attacked as women. Indefinite solitary confinement, “debriefing”, group punishments, toxic food regimens, denial of basic services and programs, forced sterilization, routine sexual violence, these are all public policies. They are not incidental nor accidental. The struggle taking place right now in California is for the soul of humanity, for that remote possibility that after the Golden Gulag, something human will emerge. A specter haunts California. In 2009, three Namibian women sued the State. They claimed they had been forcibly sterilized and that they had been sterilized because they were HIV positive, and so were victims of discrimination. This week, the High Court of Namibia decided the case. Judge Elton Hoff ruled in the plaintiff’s favor in the first claim and dismissed the second, due to insufficient evidence. The case is widely viewed as a landmark case. Three separate women, ranging in age from 20s to 40s, at the height of labor, were presented with the sterilization `option’. In one case, the woman had been in labor for over four days and was in severe pain. She was led to believe that her caesarean could only take place if she signed the form. In such circumstances, what is the gender of informed consent? In a decision that took Judge Hoff two hours to read, the Judge said there was no informed consent. He further noted that the women were Oshiwambo-speaking and that none of the health staff spoke Oshiwambo. He also noted that the forms the women signed were filled with acronyms no one, other than a specialist, could be expected to understand. Finally, in all three cases, the women only discovered the meaning of “BTL”, bilateral tubal ligation, long after they had undergone the surgery. As the judge said: “There could not have been counselling in those circumstances.” When Judge Hoff looked up from his papers, he saw a courtroom, packed with women in black t-shirts that read, “Non negotiable: my body, my womb, my rights”. This is a story, on one side, about how women at their most vulnerable are treated. Violently. It’s equally a story about how women organize and turn men’s swords into women’s ploughshares. The three women are members of the Namibian Women’s Health Network. During a routine inspection of post-treatment papers, Network members started noticing BTL on members’ treatment cards. When the women were asked about it, no one knew what BTL was, and absolutely no one knew that this had happened to them. The women then hooked up with the Southern Africa Litigation Centre, and in particular with Priti Patel, deputy director and HIV program manager, who managed the case. Though mixed, the decision is a step forward, and it’s a step that women Namibian women took, as they are doing in South Africa, in Kenya, in Swaziland, in Zambia. In South Africa, for example, Promise Mthembu went through a similar torture. At 22, she discovered she was HIV positive. She went to hospital and was told she had to sign a paper and undergo sterilization if she wanted treatment. And so she signed. Now, 16 years later, she says she is `haunted’ by having signed that form. Last year, HRI researchers, feminist researchers, produced `I Feel Like Half a Woman All the Time’. The researchers interviewed HIV positive women in Gauteng and KwaZulu-Natal. They found cases, and not just a few, of explicitly coerced sterilization and other cases of sterilization performed without informed consent. More to the point, they listened closely and intently to what the women were saying. It’s what feminist researchers and activists do. Feminist South African women, feminist Namibian women, feminist African women are moving the State and the continent. It’s non negotiable. Saheli is a women’s “collective” in New Delhi that started out as a crisis intervention center thirty years ago. It was a time when the women’s movement had been mobilized by many national events that brought women’s vulnerability to the fore. One of these was the forced sterilization campaign that Mrs. Gandhi’s government had imposed during the Emergency in the mid-1970s. I came to know the women of Saheli through their opposition to all forms of coercive contraception directed especially against poor vulnerable women. In 1997 they were co-plaintiffs in a public interest lawsuit filed in the Supreme Court against the promotion of quinacrine sterilization, introduced by two American men who worked with local doctors to sterilize women without their consent. [It was an off-label use of the drug (made into pellets for insertion in the uterus) that the FDA had not approved. In the US the men were associated with the anti-immigration lobby]. Saheli Women have challenged laws and policies, demonstrated against all forms of injustice, and supported sister organizations in the women’s movement. They are “autonomous” which in the context of the Indian women’s movement generally implies that they are not aligned with a political party. They do not take funds from NGO’s, funders, donors or any institutional source. They do accept support from individuals. Consequently, I wanted to bring their appeal to the readers and supporters of Women In and Beyond the Global. Saheli Women would appreciate a note of support even if you do not send a check. To me they have always epitomized feminist solidarity and strength. Thanks for reading this note and their appeal below. And do go to www.saheliwomen.org for their stories and accounts in their own words. As you know, on 13th May 2011, a raging fire gutted many shops and along with that, our Saheli office. The devastation has been incredible, with much of our documents and other material collected over 30 years gone. Many of you have been with us through these trying times ̶ to keep our spirits up, to help clear the remains and to celebrate the spirit of ‘moving on’ on Saturday the 28th! Thanks so much for a fabulous evening, and for those of you who weren’t there, here’s a picture of what some called our “hip new york bar’ look! But seriously speaking, the damage to the structure has been severe, and the Public Works Department says it will take them about 4 months to do their bit. In the meantime we taken temporary measures so we can begin to use the office in some form… so we actually have bricked up some sections and got ourselves a door with a lock to secure the place as ours!And we are now getting our first cabinet and bookshelf from friends. Donations: Many thanks to all of you who have already made invaluable contributions, but we’re still quite short of our needs, so would be great if those of you who would like to donate, do it now, so that we can stop worrying at least on that one account. Bank Transfers: If this is easier, drop us a line and we’ll send you the details. All donations to Saheli are exempt under 80G, and yes, and new receipt books have been our first ‘print’ job, so expect them in the mail! Thank you once again for your continued support, love and solidarity and hope to see you soon under the flyover.